I have some route in my routing table. 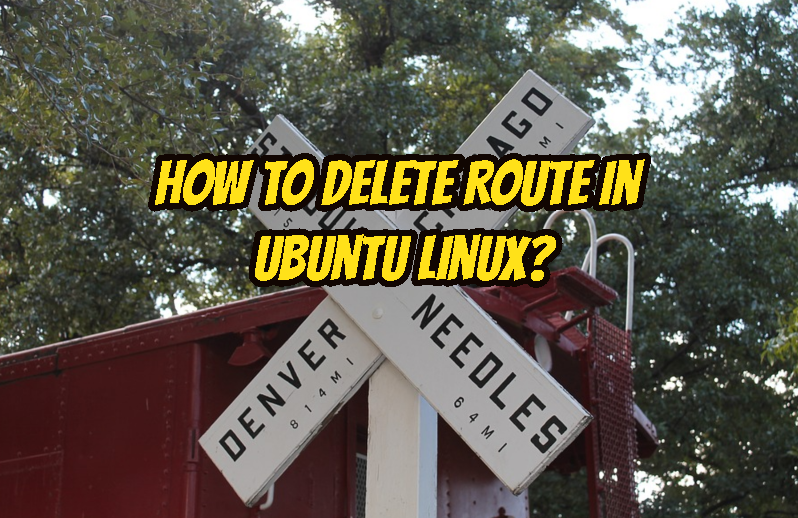 But I want to delete one route from routing table. How can accomplish this? To get detailed information about route that will be removed we list the existing routes in our system. This command can be run all modern Linux distributions like Kali, Debian, Ubuntu, Fedora, CentOS. We remove the route by giving specific details about route like below. We will use ip route del command and provide related parameters. 172.16.0.0/24 via 192.168.122.1 dev ens3 is our route to be removed. We give the full detail route so there will no space for error. We want to check the last status of our routing table. We issue the same command we issued when starting. As we can see from the output the route to the 172.16.0.0/24 is deleted from routing table. LEARN MORE Router vs Modem What Is Different and What Is The Same?